1 day: Arrival in Vienna. Accomodation in a hotel 3 or 4 stars. Free time. 2 day: Breakfast. Tour of Vienna: Schoenbrunn - the former summer residence of the imperial family, the world's oldest and renown baroque Zoo, Prater, Big Wheel. 3 day: Breakfast. 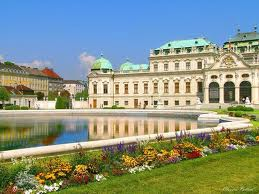 Belvedere Palace, Opera house, Hofburg Palace, Saint Istvan's cathedral.